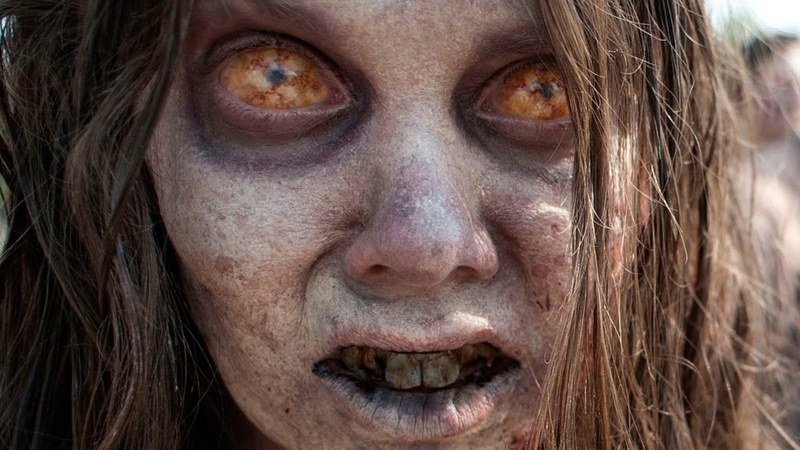 You Can Post Pictures Or Links To Zombie Pictures Here If You Would Like To Share Them With Others. These two zombies destroyed near Gainesville, Florida in the early 1960s offer a good example of the differences between Stage II and Stage III zombies. The Stage II zombie retains both eyes. 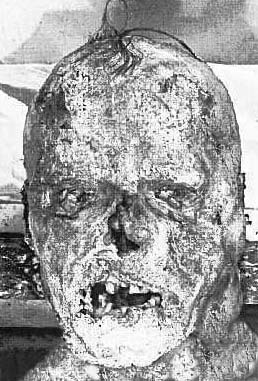 The nose is partially gone, and the area around the mouth is beginning to undergo significant necrosis. 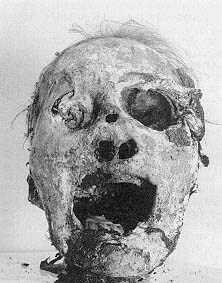 Still, the zombie has a large amount of intact flesh and some sharp teeth and presents a formidable adversary. 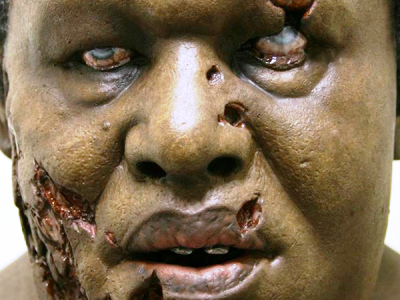 Both eyes, all the teeth and most of the nose are gone in the Stage III zombie. Such a zombie is likely to be malnourished and confused. In the old days, people often made sport of Stage III zombies, taunting them with stick and rocks. But as many of these pranksters found out, the Stage III zombie still had some power in its jaws and was capable of clamping down on a forearm and spreading the virus in an instant. So those were alive one point in time when they looked like that? That's what they say. But you never really know anymore. I mean between freaks of nature and all the chemicals now a days I'd say it's likely.